This thought-provoking book exhorts planners to establish community development programs that achieve greater social and economic equity. 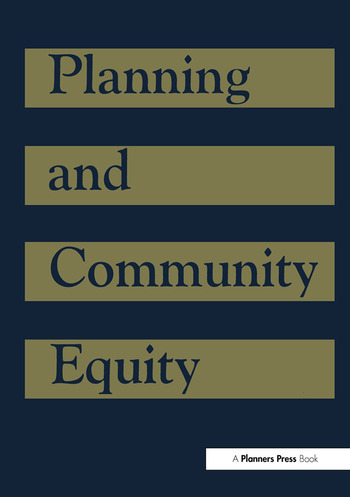 Some of the 13 chapters urge planners to incorporate community equity concerns into traditional planning areas such as transportation and economic development. Others challenge planners to get more involved in social areas such as urban education and community policing. Each chapter is authored by one or more professionals with expertise in the subject at hand. A helpful resource for planners who continue to tackle the problems of inequality.